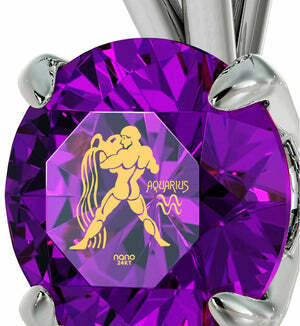 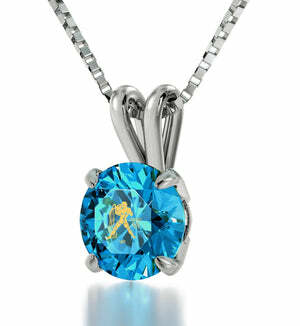 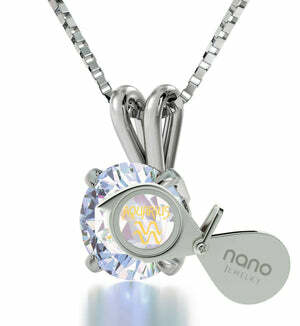 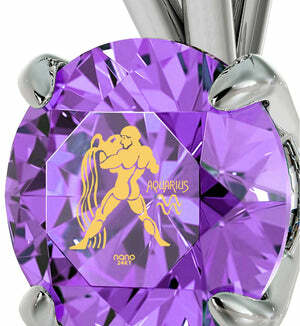 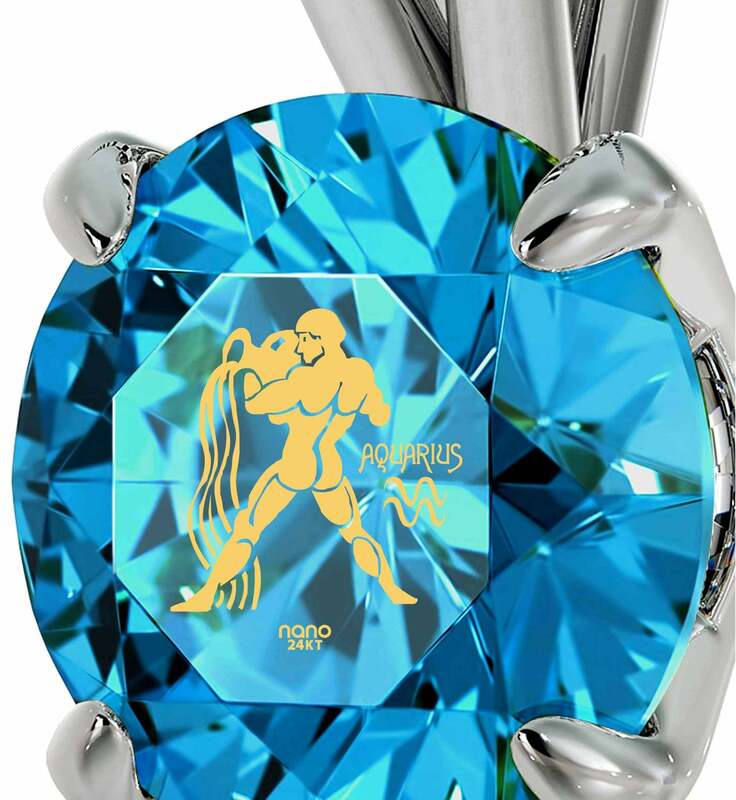 Best Presents for Girlfriend, Gift Aquarius-themed Nano Jewelry Now! Do her witty remarks and outlandish ideas always bring a good-natured smile to your face? 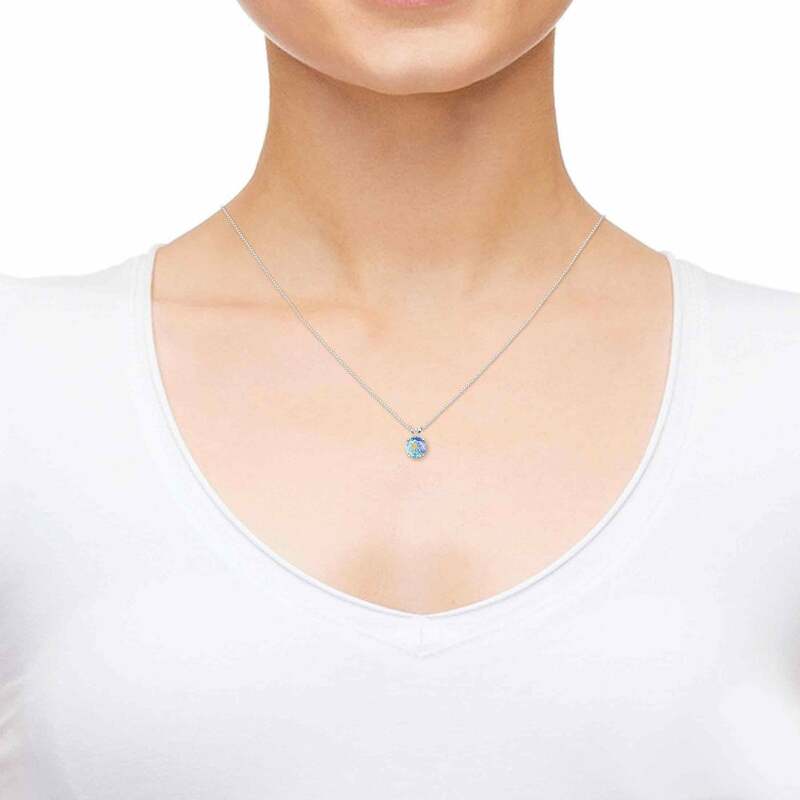 Is her willingness to drop everything to really be there for a friend something you admire? Those are Aquarius characteristics shining through from within, making her the agreeable person you chose for a reason. When you think of ways to show your admiration for that charming and witty personality in a way that isn’t passing or forgetful, an Aquarius-themed cute necklace for her like this one is tough to beat! 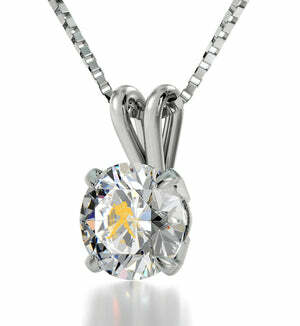 Thoughtful gifts for girlfriend never have just one purpose, and that’s true for this small necklace too. 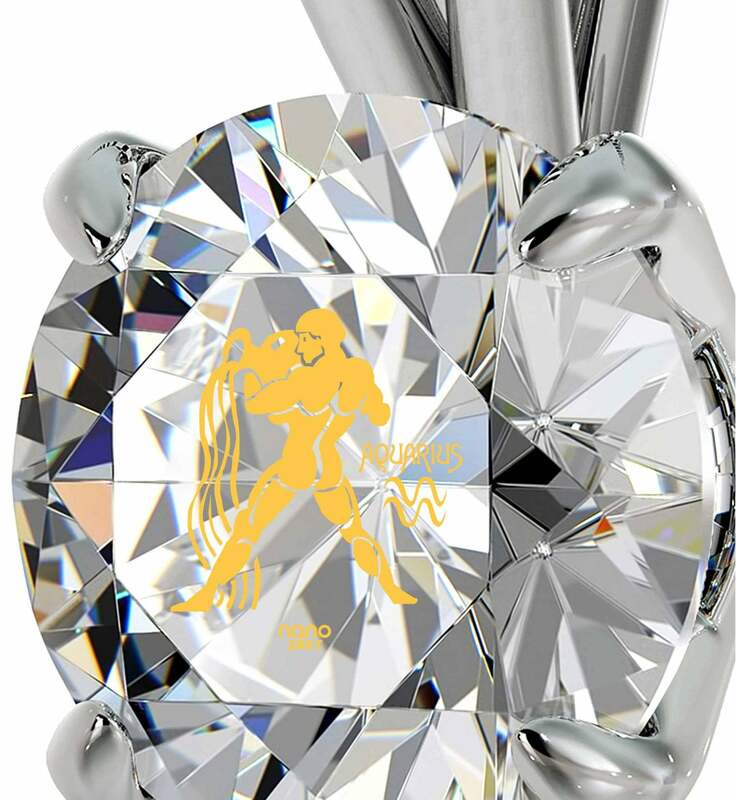 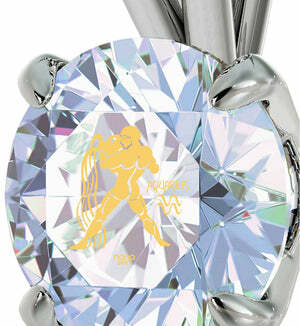 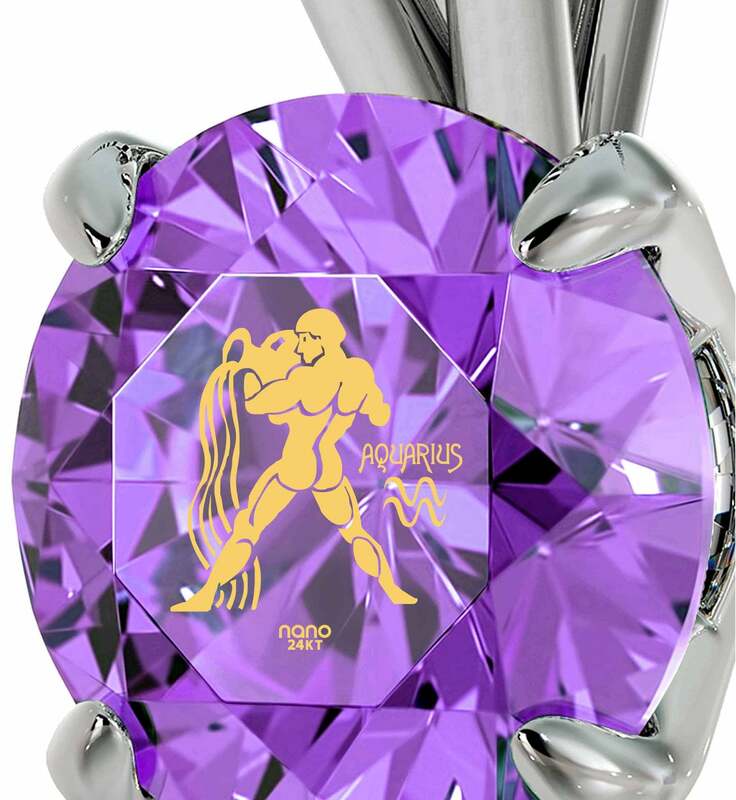 The intrigued looks people will give it as she displays its delicate silver frame and luminous Swarovski gemstone to the world satisfy the attention she wants from others, while the secret of its Aquarius imprint made with only the finest gold makes a strong case for how much you respect & love her. 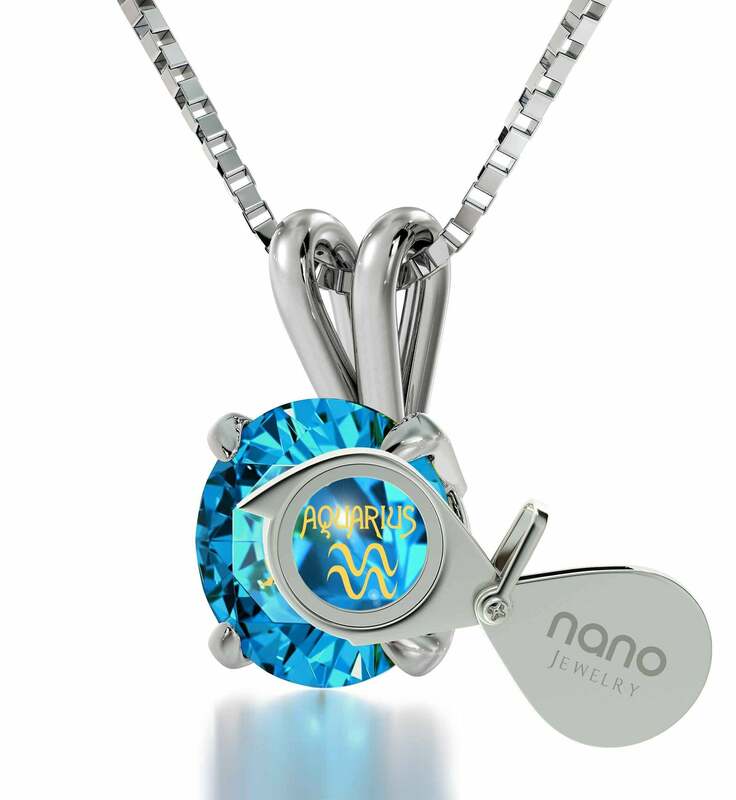 Crisp, inspired and amazingly detailed, the imprint exemplifies Nano Jewelry’s excellence and has absolutely no competition when refinement is concerned. 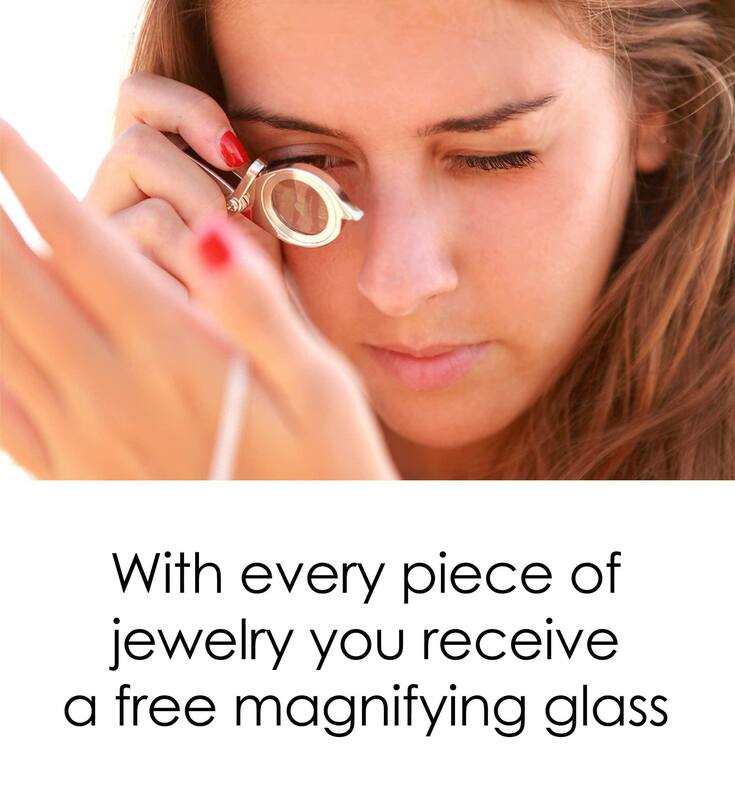 Even her honest nature will find nothing to criticize the Aquarius necklace for, and she’ll have plenty of opportunities to look it over and admire what she sees in a pleasant manner since a Nano Jewelry magnifying glass is there to help make this possible. Add a final surprise, the splendid gift box, to everything else, and the luxurious silver necklace ought to easily qualify for the best girlfriend gift you’ve thought of so far.